Pour into glasses, over ice. Garnish with a sprinkle of ground cinnamon. 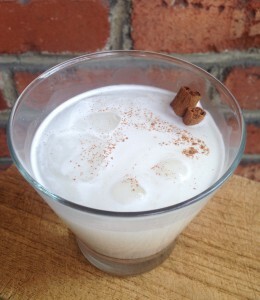 Serve and enjoy cold OR skip the ice and steam the Horchata and pour over a shot of esspresso for a Horchata Latte!